Apart from the courtrooms, where Jigsaw and Stayzilla are currently battling to determine whether Stayzilla CEO Yogendra Vasupal should stay behind bars, the two companies are also slugging it out on social media. And things are getting ugly. Stayzilla and Jigsaw upped the ante over the weekend, trading charges against one another. Jigsaw proprietor Radha Shekhar wrote a letter to Prime Minister Narendra Modi, urging him to “help a woman entrepreneur recover her dues from wilful defaulters.” In her letter, Shekhar said that Jigsaw had they’d worked with many clients in the past, including Kotak Mahindra Bank, Bank Bazaar and Zoom Car, but only Stayzilla had defaulted on its dues. Stayzilla, on the other hand, brought out an audio recording of the conversations between Jigsaw and its own team. The recording, which lasts 36 seconds, appears to involve Aditya CS, the son of Radha Shekhar. “You f*cking crook. I will screw your f*cking happiness,” he tells someone from the Stayzilla team, before telling someone that their “wife is going to a brothel case, motherf*cker.” OfficeChai couldn’t independently verify the authenticity of the recording, but it was endorsed by the top members of the Help Yogi team. In addition, the Stayzilla side also attacked the media, with Nisha Gajawni, who was the Executive Assistant to CEO Yogendra Vasupal, saying that journalists from the Times of India, The News Minute, The Hindu, and OfficeChai were “getting paid by the moron Aditya CS” for their supposedly negative coverage of Stayzilla. @indian_sv @sang1983 @thenewsminute @rachelchitra @OfficeChai They won't listen to it and reply…as they are getting paid by that moron Aditya CS…As I told earlier how journos are.. These charges and counter charges, though, might just come to naught. 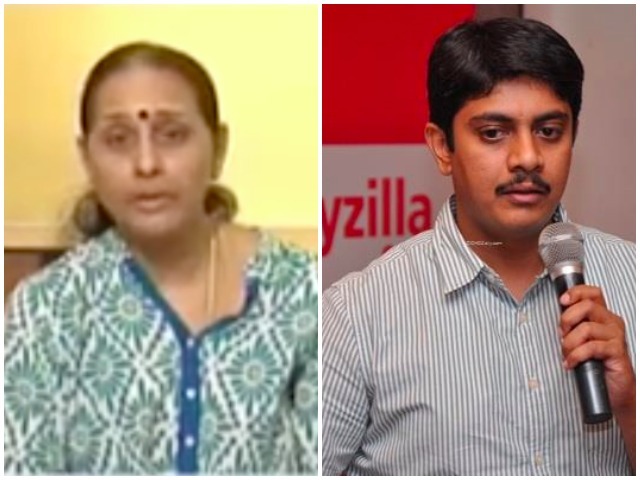 The battle is being fought in the courts, and it appears that external lobbying won’t impact the case very much – in spite of the support of the country’s top entrepreneurs, Stayzilla CEO Yogendra Vasupal had been denied bail twice. But both sides seem committed to letting the people know what really happened, and having their side of the story heard.